Become a Member! Expand your connections, whether that means widening the circulation of your artwork, images and brochures, publishing information about your services, or simply keeping abreast of what’s current in Maine fiber. We invite fiber artists, fiber producers, collectors, enthusiasts, and friends to help us support Maine fiber by joining and building this organization. Your support helps us keep our building in Topsham open for gatherings of members and the public, to host gallery shows, make referrals to buyers and collectors looking for fiber art, send folks off to visit studios and farms, post updated Bulletins, greet Gallery visitors from all over the country (and beyond). We visit many fiber events and studios and present online slideshows of the visits in our Fiber Folio. We also host workshops, encourage creativity, expand our website, offer slide talks, and dream up new programs like our "Mini-Tour" and our Maine Fiberarts Tour Map, and our upcoming "Learning Fiber Art: Guide to Maine Teaching Resources." Please consider becoming a current member of Maine Fiberarts and help support us in our endeavors on your behalf. In May of 2018 we instituted a new and simple yearly membership plan for everyone. The membership year runs from June 1 of the current year through May 31 of the following year. Dues are now paid once a year during the month of June.Any new or renewing members who pay their dues in June of the current year will have a full year of membership with their yearly membership due again during June of the following year. By remembering this date, it will keep you from the possibility of having to make two payments during the same membership period to stay current. For example, if you forget to pay during June, but pay after that, your membership will still come due again in June of the following year. If you are a brand new member, joining Maine Fiberarts for the first time, you will be entitled to a 5 month extended/grace period if you pay in January or after. In other words. You will become a member when you pay, and your membership will continue throughought the next membership year without having to pay again that June. Of course, we are always happy to accept donations of any amount at any time whether to cover membership of not. Using the donate button below: We can accept VISA, MC and paypal. Just fill in the amount of your donation after clicking the button, and we will apply it to the appropriate membership level. Don't like making online payments? We are also happy to receive your personal or business check mailed to Maine Fiberarts, 13 Main Street, Topsham, ME 04086. We can also accept VISA or MC payment by mail and phone 207-721-0678. Downloadable Form: If you don't like making online donations, you can download, print out and send in our paper form with your membership amount, download a membership form. Contact us for other ways you might make a contribution. 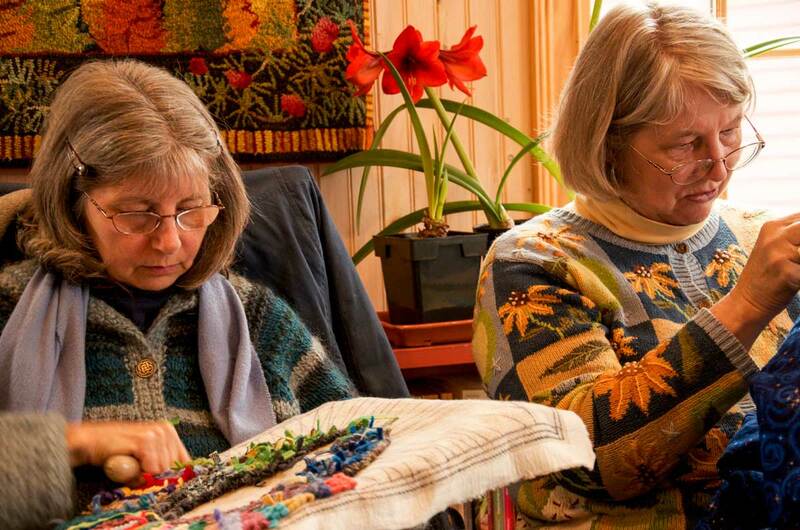 Maine Fiberarts is a federally-recognized 501(c)(3) not-for-profit corporation. Contributions are tax deductible. Your memberships, donations and sponsorships are considered contributions under these tax rules. Everyone can support Maine Fiberarts. *By submitting photos you grant Maine Fiberarts permission to use and distribute your photos on a royalty-free basis for news and public-information purposes at their discretion.